You asked for it, we designed it! Here is one of the most complete WordPress theme for Record Labels we ever built. 100% compatible with Elementor page builder, this theme is very easy to use and highly customizable to create your own label website using WordPress. Install the Sonaar theme, import the Promote Label templates and start swapping the logos, colours, texts and images by your own assets. You will have the ability to add, change and remove any widgets (or blocks) to your homepage by using the visual drag and drop page builder. In addition, you will be able to sell albums, event tickets or merchandise directly on your website by using eCommerce plugins such as BeatStars, WooCommerce or Easy Digitals Downloads. Promote has everything it takes to create a very solid Record Label Website and grow it year after year. 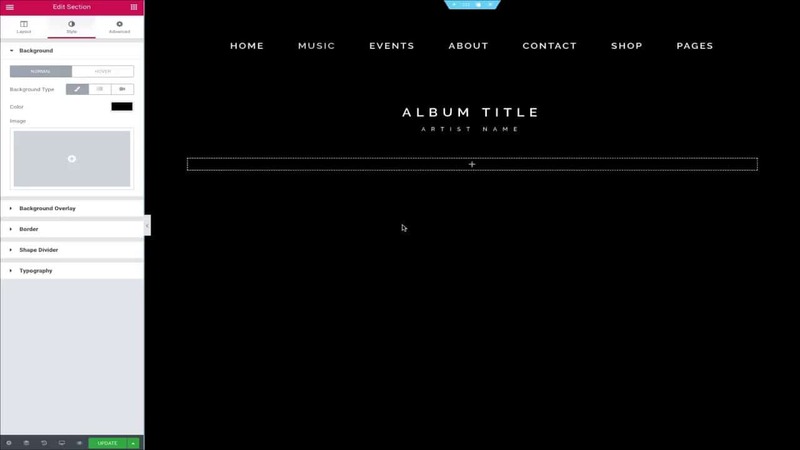 Our Promote theme includes multiple features specially designed for record labels, artist managers, event promoters or any music distribution agencies. We have developed 5 custom post types that you can use to bring your website to a next-level. If you are building an artist management website, the Artist widget is probably one of the tools you will use most of the time. You can create unlimited artist pages and regroup them under a nicely designed and filterable grid. 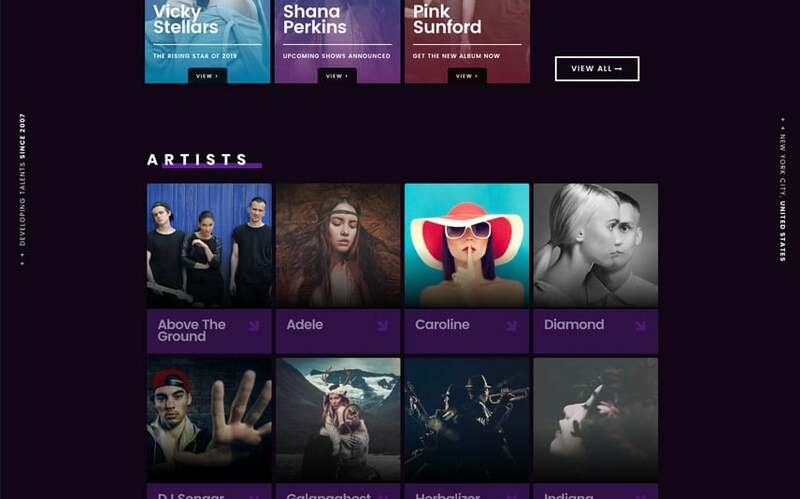 For each of the artist, you can set its name, biography, playlists, events or concerts, videos and photo gallery. If you manage multiple artists, you will have different options to displays your artist card profiles. You will have the option to choose from a boxed and full-width grid, parallax grid, a category-filterable grid, a slider grid or a custom artist grid. 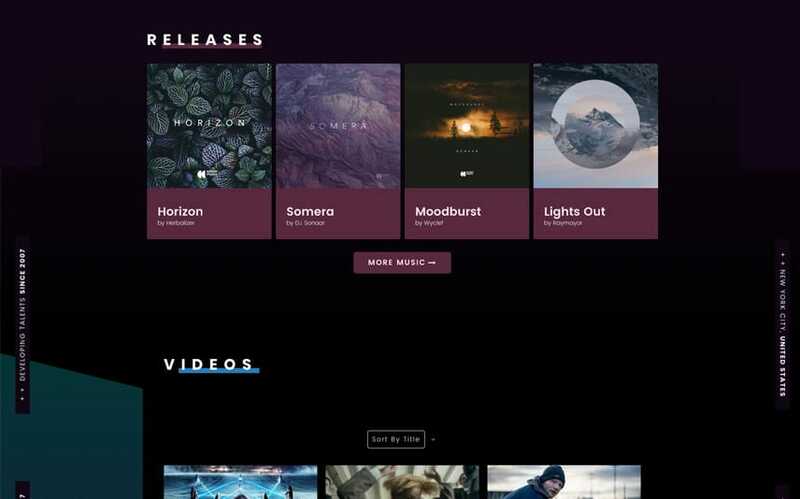 These grids can be displayed on any page you’d like such as the homepage, the music page, in an eCommerce page or even in an artist profile page so your visitor will be able to browse directly to another artist if they want. The Playlist CPT, also known as the music or audio player widget in our Promote theme is something you will love. All the MP3 tracks for each of your albums, compilations and EPs will be uploaded and regrouped in the Playlist Custom Post Type. For each of your record albums, you can set an album art cover, an unlimited number of audio files with unlimited call-to-action buttons and icons (eg: Download, Buy Now, etc.). For each of your albums, you will also have the option to link it to any online stores where you sell your digital files (eg: iTunes, Spotify, Google Play, etc.). Finally, you can regroup your albums into specific music grids we have pre-designed for you, or create your own music grid by using Essential Grid plugin. Podcasting is very popular nowadays and it keeps growing every year. We have included a specific Podcast custom post type which allows you to display your podcast directly on your website. 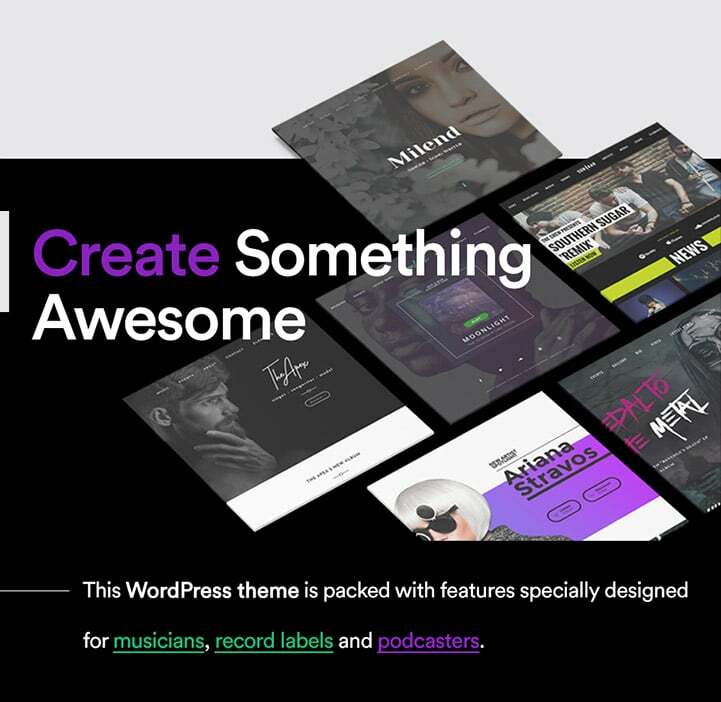 Indeed, this is optional, but people who podcast their artists and record label will find this WordPress theme very useful for it. You can automatically sync your RSS feed and stream your podcast from any podcast hosting. 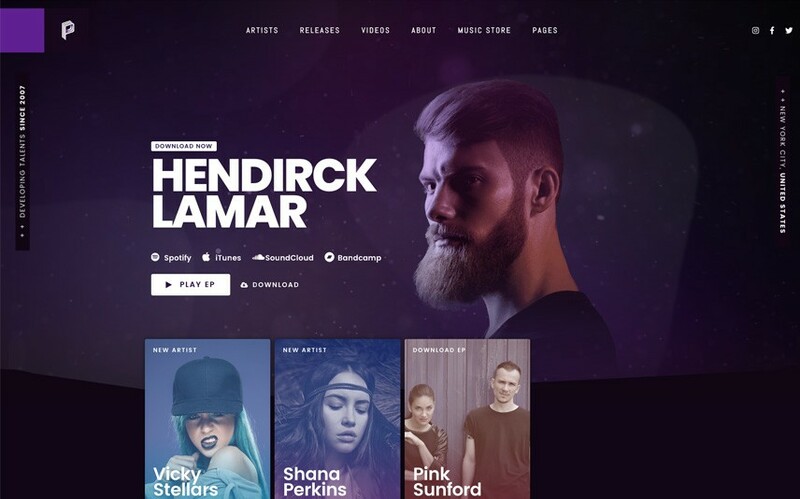 If you are an event promoter or work for a music festival organization where you manage several artists, the Promote WordPress theme might be the last one you will buy. For each event, you can set the performing artists, date of the event, videos, music players and photo galleries. You can literally add any widgets for your individual events such as a contact or booking forms, buy ticket buttons, RSVP form, Countdown etc. 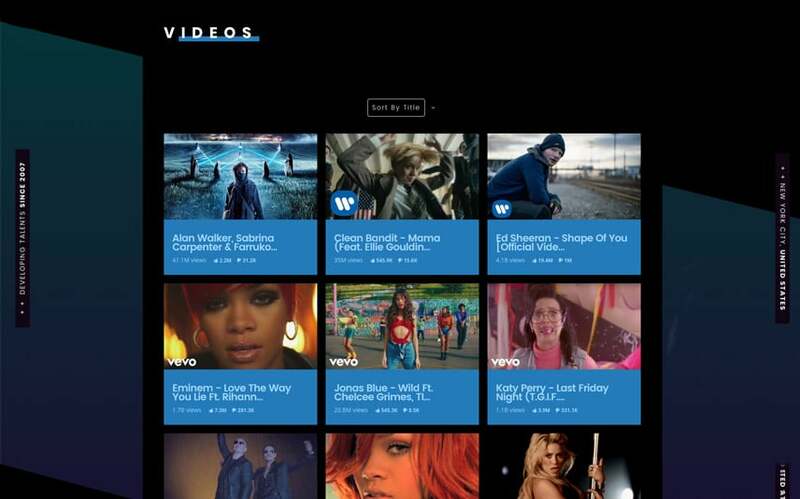 The video custom post type is pretty useful if your label wants to promote its artists by music videos. You have the option to display your YouTube channels or any YouTube list directly on your website or on any pages. If you are managing multiple artists, you can create in YouTube, a list for each of your artists and display those lists in the profile page of the corresponding artist. Whenever you add a new video to that list on YouTube, it will show up in the website. Magic! This can also work with Vimeo or self-hosted HTML5 videos. If you run a record label, you mostly have a product for sale. 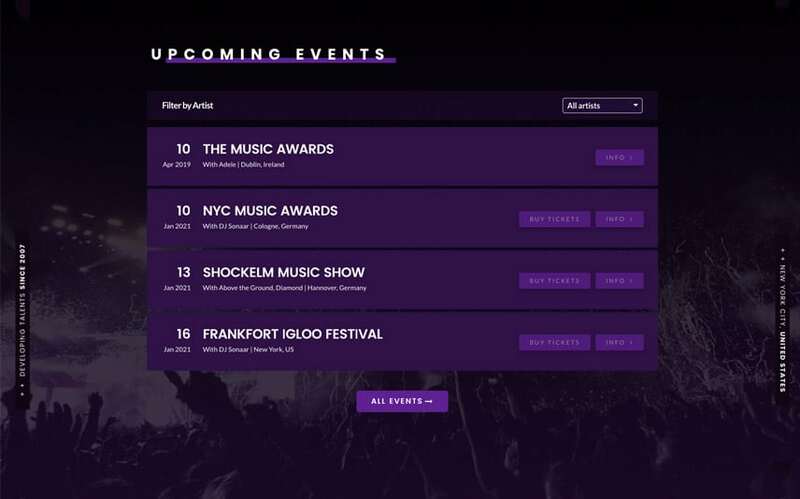 Most of the time, you will want to promote and sell digital music files, event tickets and merch. By using this WordPress theme for Record Labels, you will have the ability to sell any assets online worldwide. Either by using BeatStar’s eCommerce platform, WooCommerce plugin for WordPress or the well designed Easy Digital Downloads plugin, our theme and templates will front your record label online store professionally and for a good reason: This WP theme combines more than 3500 hours of development and is literally the most powerful and flexible WordPress theme for Record Labels we ever designed.